Longitude was the first design in the collection I came up with and the last one I actually made. 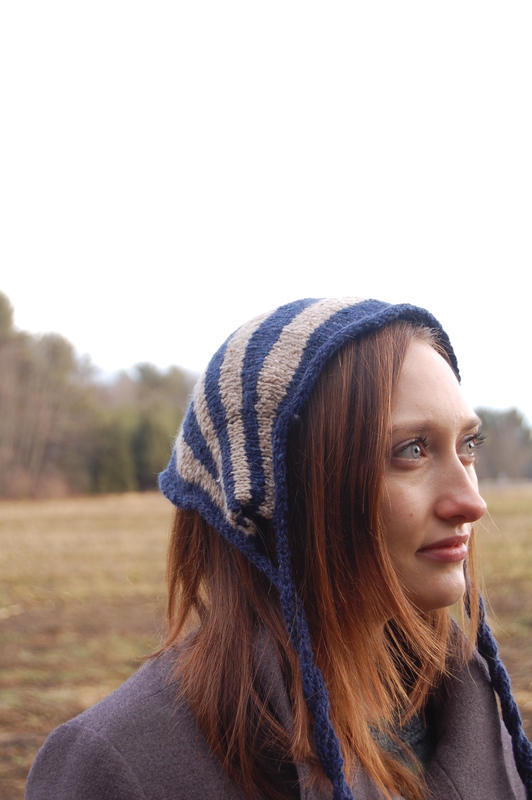 Long before Bristol came to me with the idea for a stripe-themed collection, I had the idea for a short-row shaped striped bonnet banging around in my head as by product of a zebra I had knit for my cousin. 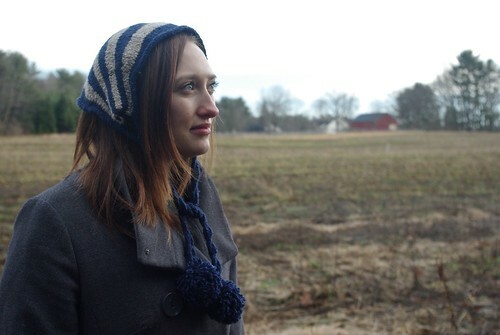 (Incidentally, that’s another pattern that I intend to release soonish). 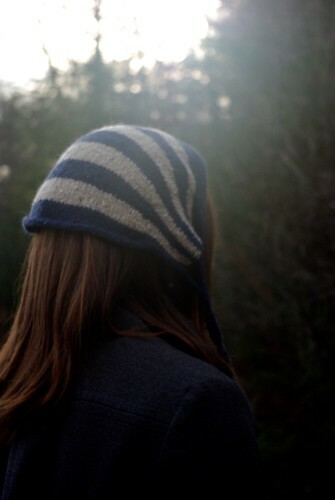 In making that zebra I learned a few things about the possibilities of short rows and thought it would make a great hat. Add in some i-cord edging and a couple of pom-poms and you’re all set! The yarn for the sample features the wonderfully subtle Berroco Black Tweed in Narragansett (Navy Blue) and Clover Honey (off-white). I’d wanted to try this yarn out for a while, so when it showed up in my LYS’s clearance bin in colors I loved, it seemed like fate. It’s a wonderfully soft yarn, but my one caveat is that I has no issues knitting with it, but the yarn did tend to break when I tried to use it to tie off the center of the pom-poms, so I ended up using a sturdier thread for that purpose. 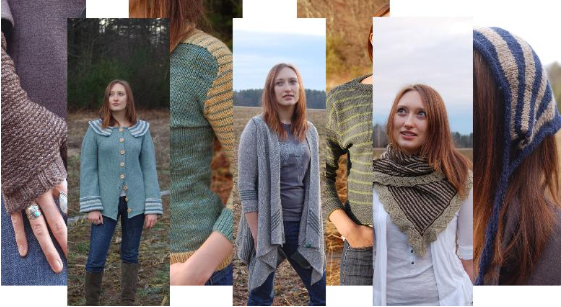 Longitude is available for download as a solo pattern for $4.00 USD or can be purchased from my Ravelry store with my other two designs from the collection, Latitude and Lamina for a discounted $12 with the coupon code LINE.